Tuesday Jan 14th was an exciting day for SmellTheBook... I received my first book in the mail from an author asking for a review! 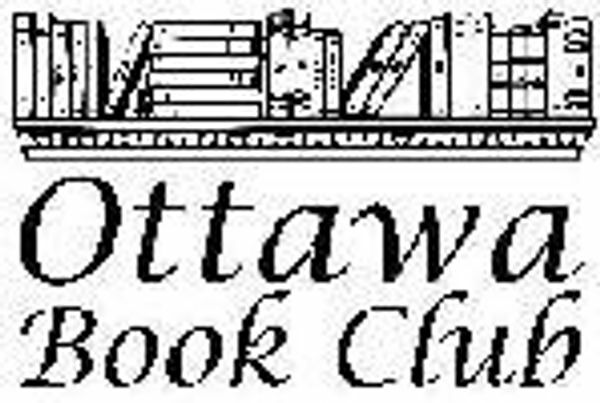 While promoting his book Tony first asked me about possibly having his book read by the Ottawa Book Club. I told him that books are selected by the members and not "mandated", but I did tell him about my book review website and he sent a copy of his book! Thanks Tony. I'm excited about the prospect of the review and the books sounds interesting. It is also interesting to hold a pre-published book with the word "Proof" in the inner pages. I have a couple of books still to read for the book club (Nancy Richler is still coming to see us in a few weeks) but then I will give Tony's work my undivided attention! 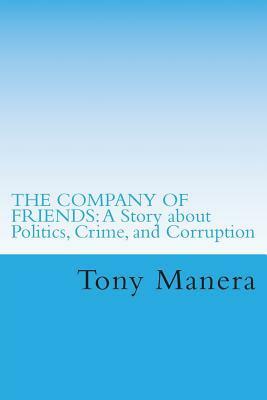 THE COMPANY OF FRIENDS: A Story about Politics, Crime and Corruption is a political mystery/thriller involving the assassination of Elizabeth Stone, the first woman elected US president. There are no clues, suspects or apparent motive. Despite the use of the most sophisticated forensic tools, all initial efforts to find the killer fail to produce results. Is this the perfe...moTHE COMPANY OF FRIENDS: A Story about Politics, Crime and Corruption is a political mystery/thriller involving the assassination of Elizabeth Stone, the first woman elected US president. There are no clues, suspects or apparent motive. Despite the use of the most sophisticated forensic tools, all initial efforts to find the killer fail to produce results. Is this the perfect murder? Frustrated, but determined to see that justice is done, FBI agent George Baker penetrates the twisted sub-culture of the underworld, breaking through the wall of silence that shields the perpetrator of such a heinous crime. The killer is charged, convicted and sentenced to death. But the question of motive remains unanswered. Did he act alone, or was he hired by someone? Further investigation establishes linkages between the president's assassin, several corrupt politicians and The Company of Friends, a secretive organization that runs some legitimate businesses, pays all taxes and supports a variety of charities. Its most lucrative activities, however, are illegal, driven by insatiable greed and made possible by corruption in high places. They involve bribery, insider trading, buying and selling of information and a variety of other illicit schemes. The reader is taken through the seamy side of American politics, exposing how money can buy influence, breeding corruption and subverting the democratic process. The multi-layered structure designed to insulate the masterminds behind this house of corruption is brought down by the relentless efforts of the FBI and its law enforcement partners. The evil genius behind the complex and seemingly foolproof plot to assassinate the president is finally unmasked and brought to justice. What makes the narrative so compelling is its sheer audacity and scope. Issues ranging from the economy, the environment, corruption in business and politics, to Quebec secessionists, create a sense of the complexity of the world lived at the presidential level. Furthermore, everything in the novel could actually happen. The reader does not have to suspend belief in reality to accept the characters and events as presented. The story winds up with a well-balanced and sometimes surprising conclusion for each of the major characters.